The East Windsor Ambulance Association has 6 fully stocked ambulances with the ability to provide basic life support or paramedic level ambulance service to our community. We are actively looking for other opportunities to expand our service to other communities. For communities looking for a new ambulance provider or another existing service looking to consolidate and regionalize their current EMS provider system. We have sufficient ambulances, equipment, and staffing to easily respond to a significant amount of EMS emergencies with a very short lead time. We currently provide our service to our community at no charge to the town. Your community or ambulance system can fund and support one of our paramedics to provide service to your community. Stop waiting for one to come from a distance. Contact us for specific information and pricing. We can provide EMT personnel to your service to augment your ambulance staff. Contact us for specific information and pricing. The East Windsor Ambulance Association performs their ambulance billing in-house and can provide this service to other ambulance systems if interested. Our system can accept any electronic EPCR system that meets the State of Connecticut's EPCR standards. This includes but not limited to ESO Suite, EMS Charts, or Zoll Data. 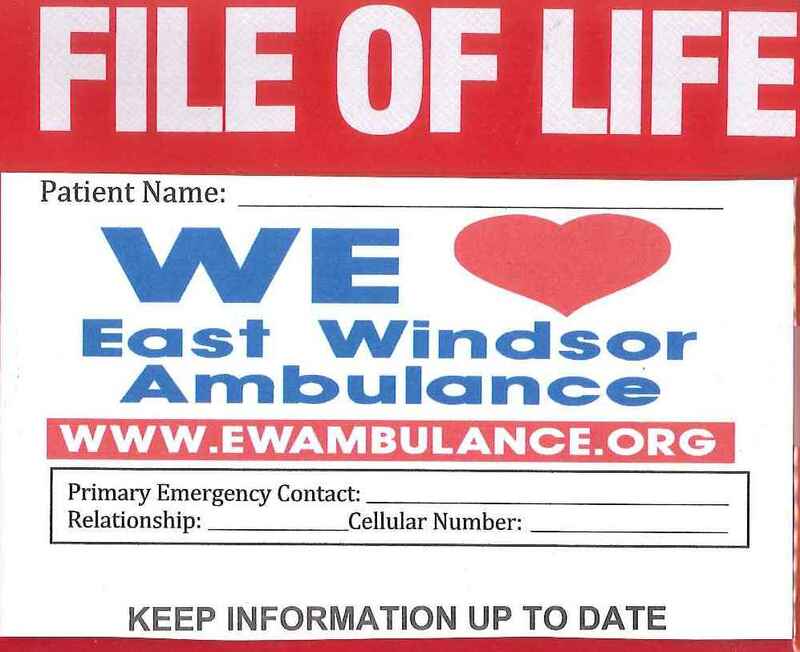 The East Windsor Ambulance can manage your staff scheduling needs. As a successful non-profit ambulance system, we can evaluate and provide consultation on how to move forward with your ambulance system.